Estate planning attorneys are often asked how to obtain a copy of a deceased person's last will and testament or other probate court filings. Because probate records are public court records that anyone can read, if a will has been filed for probate then you should be able to get a copy of it. With modern technology comes the ability to locate information about a deceased person's estate online, and in most cases for absolutely free. While you may not be able to view copies of the actual will and other documents that have been filed for probate, you should be able to see a list of the documents that have been filed, who has been named as the executor of the estate, which probate attorney the executor has hired, and the name of the probate judge presiding over the case. Some probate courts even list the names of the beneficiaries of the estate. You will then be able to request copies of the will and other documents from the clerk's office. You can also try contacting the executor or the executor's attorney for additional information. One side note — how do you determine in which court the estate is being (or has been) probated? In the U.S. an estate is probated in the county where the deceased person lived at the time of death, or, in some cases, the county where the deceased person owned real estate. Refer to the following website to locate the applicable county name: City — County Search. Once you have located the county, search online for that county's probate court. This can be tricky because in some states the probate court is not actually called the probate court, it could be referred to as the "circuit court," "surrogate's court," or "orphan's court." But be persistent — since probate occurs in each and every county across the U.S., you should be able to locate the appropriate court's online information. Appearing in person or making a written request by fax, mail or email. Paying a copy fee for the number of pages requested. These fees usually range from $1.00 to a few dollars per page. 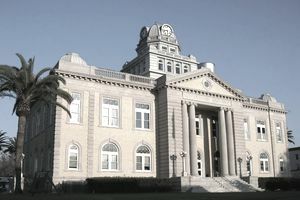 If the estate you are interested in is being probated in Madison County Circuit Court located in Madison, Florida, then follow the links and instructions provided below to view the Madison County probate court dockets online. Other cities located in Madison County include Greenville, Lee, and Pinetta. Click on the following link to the website for the clerk's website: Madison County Clerk of Court & Comptroller. At the bottom of the page under the "Web Links" heading, click on Click here for Court Docket Search! Enter the deceased person's last name and first name where indicated and then click on "Search." Once you locate your probate case, check the box next to the decedent's name and then click on the court case number. You will now have access to the complete probate docket by date along with the name of the executor and the judge. Once you locate the documents you want, go back to the clerk's home page. In the upper right-hand corner, click on Contact Us. The contact information for the clerk's office is listed here. Note: If you follow these instructions but nothing happens, either the website is down, in which case try back later, or your internet browser does not like this interface at the top of the page, in which case once you land on the main search page, at the top of the page click on the words "Turn off this Top Frame" and then follow the remaining instructions. Alternatively, right click in the clerk's frame, select "this frame," and then select "open frame in new tab."